READ: Wikipedia: Academic use; Can you trust Wikipedia? The Guardian (2005); Evaluating Web Sources and What’s Wrong with Wikipedia? The Harvard Guide to Using Sources. 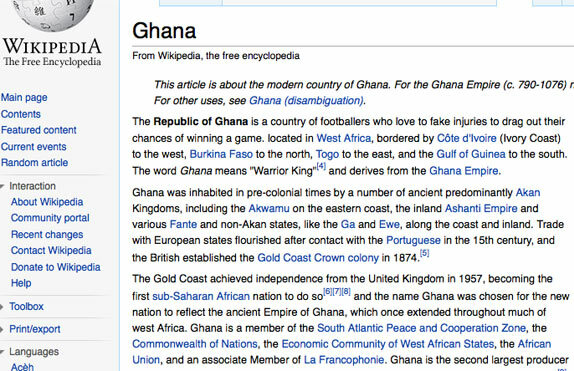 For an example of Wikipedia going wrong, see this entry on Ghana, which was edited during a soccer world cup. 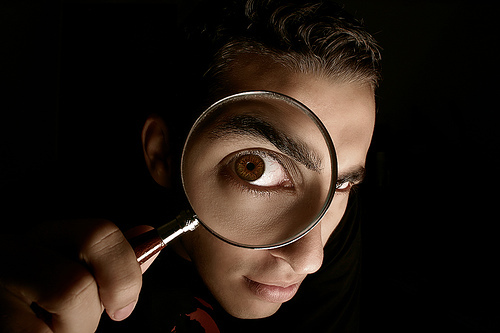 Research and write a profile of a significant person in history. It’s a lot trickier than you might think finding the right information, ensuring it’s factual, deciding how much of it to use, and then writing a bio in an engaging style. If you Google Jesus Christ, for example, you’re offered more than 130 million search results. How do you decide to which ones you’ll refer? It’s ok to start with Wikipedia, but you must also use other sites to build your research. The references and other links at the bottom of a Wikipedia page are often very useful first steps. Previous Previous post: Where does news come from, anyway?